Homegrown Fantaseeds opened doors in the heart of Amsterdam in 1996 after Jaap had taken over the genetic library of Positronics, Hollands first grow-shop selling seeds and source of many strains that became classics in the 1980's and 90's, such as Top 44, Big Bud and Afghani for instance. The guys at Homegrown Fantaseeds started breeding and experimenting with these magnificent genetics, combining them with popular genetics they collected in the past ten years - and raked in awards at the High Times Cannabis Cup 2001 (Blue Haze) and 2004 (Cheese) for their creations. In recent years they focused on the creation of autoflowering varieties and released some hybrid strains that became very popular near-instantly. They keep on experimenting with their ever expanding gene pool so you can rest assured that they release news strains on a regular basis, so check back frequently. Brimming with power, Armageddon from Homegrown Fantaseeds is a heavy hitting Indica that produces the goods in a big way. When it comes to powerhouse pots of this nature you'd assume that for all that strength it would have no speed. Well, Armageddon is an exception to the rule, boasting a lightning quick flowering time of just 8 weeks! Forget K9, K2 is most definitely man's best friend. This mild mannered hybrid is as sweet as they come, emitting a heavenly scent matched only by her sumptuous taste and mellow stone. Homegrown Fantaseeds decided to cross the Hindukush 'sprog' with the wonderful White Widow to give a K2 a generous top-up of both speed and power. Often used for crossbreeding because of her vigour and big buds, Northern Lights is like a shining beacon of bud. Winner of three Cannabis Cup awards, she is a real prized pot. Adored by smokers and growers alike, Northern Lights is a low maintenance strain blessed with speedy genetics and a high quality outcome. Northern Lights has a flowering time of 8-9 weeks. Derived from a legendary lineage, Afghani from Homegrown Fantaseeds is a strain of the utmost quality. Having spent many developing this potent product, the experienced cultivators are keen to show their feminized creation off. 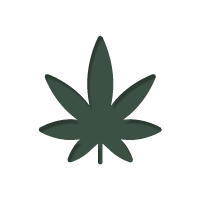 Afghani is a 100% Indica variety that harbours a slew of medicinal qualities - known for their effectiveness. A great outdoor grower and all around tasty strain, Mango from Homegrown Fantaseeds is a smooth mover in every sense. The Indica dominant strain induces a body high that soothes and relaxes your muscles completely. Flowering in just 8 weeks, its no wonder why she's such a firm favourite. An all round potent player and Cannabis Cup superstar, Super Crystal is an almost pure Indica of intensity and high yielding promise. Her easy to manage character coupled with her speedy growth, make her an undeniably appealing pot for both novice and experienced growers. Super Crystal has a flowering time of 8-10 weeks. Combining the pungent and powerful pot protege that is 'Skunk 1' with the fast-flowering action of Dutch delight 'Viking' was a great move on the part of long time cultivators Homegrown Fantaseeds. This perfect blend of power and speed resulted in a super indica that goes by the name of TOP 44. Cannabis cult classic Jack Herer (given something of a feminized revival) is back and more powerful than ever. This hugely popular strain has been re-tweaked by Homegrown Fantaseeds and is now available as a 100% female seed. Ready to harvest in just 8 weeks of flowering, she is a really speedy seed that does not disappoint. Ready to harvest after 10 weeks of flowering, this Cannabis Cup winner is no slouch. Produced by the expert cultivators at Homegrown Fantaseeds, HG Cheese is a triumphant take on one of the UK's finest strains.The Indica icon is brimming with power, that both recreational and medicinal users will want to savior. The Homegrown Lowryder, a cross between Williams Wonder, Northern Light and Ruderalis to give the strain its autoflowering property, stands out when compared to other autoflowering strains because of its higher-than-average yield and steep percentage of THC. On top of that, it only takes 10 to 11 weeks to finish its life cycle. Orange Delight is a strain created by Homegrown Fantaseeds, originating from a Californian Orange Skunk clone. The result makes for a great hybrid (70% indica / 30% sativa). A delightful experience to smoke, this strain stands out with its tropical and fruity taste. The effects are also very balanced and will keep you feeling relaxed for a long time. Blessed with buds that drool with resin, Masterkush is a great example of 100% feminized Indica at its best. A proud member of the Hindukush family, she boasts a stone of great intensity, not to mention a quick rate of growth. This compact herb is ready after a flowering time of 8 weeks - a time sure to please the cannabis connoisseurs out there. The legendary Haze strain is one of supreme Sativa satisfaction. In keeping with this, cultivators Homegrown Fantaseeds have produced a 100% pure Sativa powerhouse. This no holds barred bud, hits you with a wondrous amount of fruity flavors, pungent aromas and cosmic clout - sure to please even the toughest of critics.